Your shower doors are key component of your bathrooms. 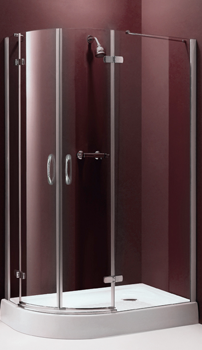 The selection of Houston shower doors varies considerably. You want to find the right door for your needs and the available space. Function and style are two important considerations when deciding what types of shower doors you should choose. 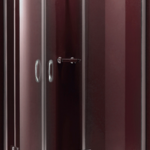 Before you pick a shower door, you need to think about how you expect them to perform and how it is going to look. For example, do you want the door to keep the steam within the shower enclosure? Is your bathroom large enough to accommodate a swinging door, or would a sliding door work better? Do you like the appearance of a door with a frame or without one? Here is a brief rundown of the different types of shower doors in Houston. Sliding, or bypass, doors come in two styles. Most have two doors that slide on tracks that are on the floor or on the bathtub enclosure. Some types have a fixed panel and a single door that slides. Hinged shower doors swing open in one direction like a regular door. The hinge can be anchored to the wall, the shower surround or a fixed glass panel. Pivot doors have a pivot hinge so that they can open to the inside or the outside of the enclosure. The hinge is usually attached to the edge of the door, but it can also be mounted in the center to produce a revolving type of shower door. Steam doors extend from the floor to the ceiling. They keep the steam inside the enclosure by forming an airtight seal with the glass panels. Neo-angle doors are perfect for small bathrooms. They fit in a corner enclosure and are attached to side panela at an angle. Bath screen doors are made from multiple glass panels. Two of the panels fold in, and one is stationary. Most of these doors for shower enclosures come with or without frames. The frames can be polished brass, chrome or steel. This makes it easy to match the hardware to the decor of your bathroom. If you need practical advice on a Houston shower doors for your home or Houston auto glass repair or replacement, give Apple Glass a call. In The Woodlands, our technicians can be reached at 281-296-0600. If you are in Houston, contact us at 713-680-1400. We have over 25 years of experience helping people choose the right shower doors and installing them in their homes. This entry was posted in Showers and tagged Houston Auto Glass, Houston Shower Doors, Shower Doors Houston. Bookmark the permalink.